Photo of Moroccan kids playing in the streets. Moroccan man and woman in traditional North African robes and clothing. 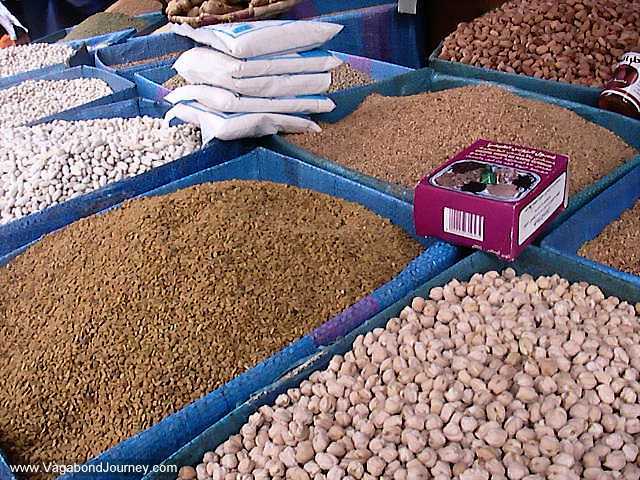 Food in a market of Morocco. 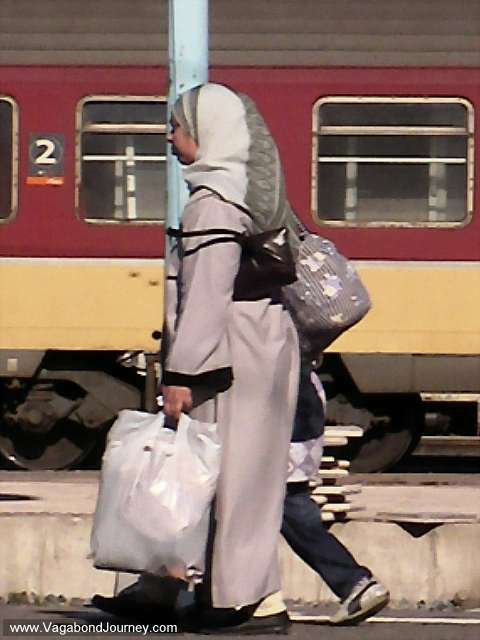 Moroccan woman walking to a train in Marrkech. 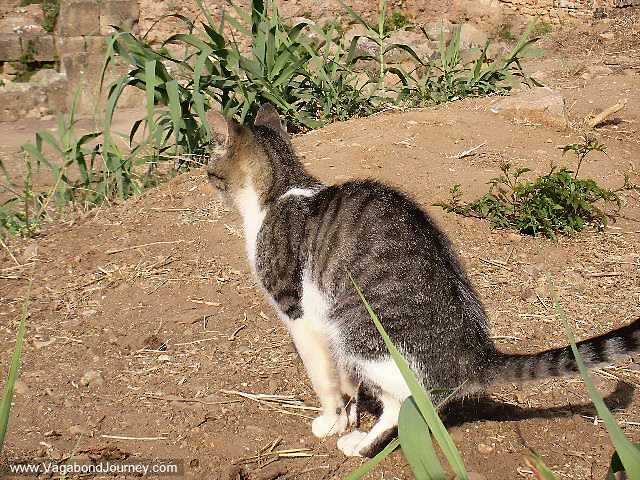 Moroccan cat. 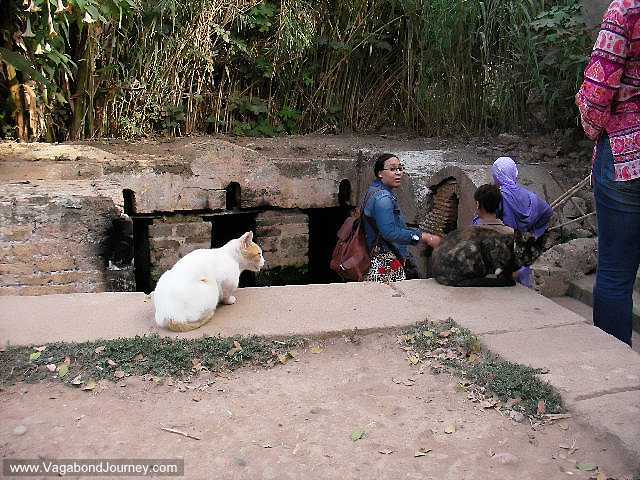 I think that the feline is indigenous to North Africa. 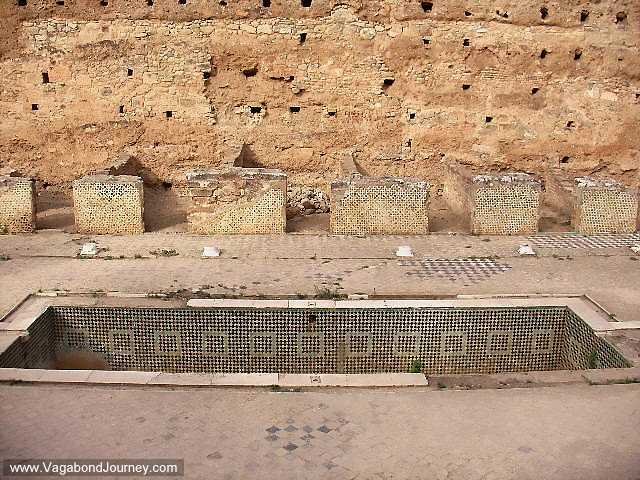 Roman bath in the Chellah ruins near Rabat, Morocco. Eel-pool where women feed the eels eggs to ensure that they either get pregnant or have an easy childbirth. 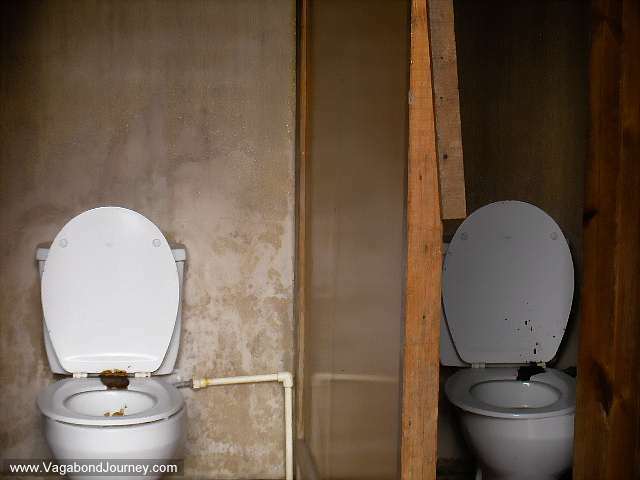 The various ways that the Arab uses the western toilet can only be imagined. 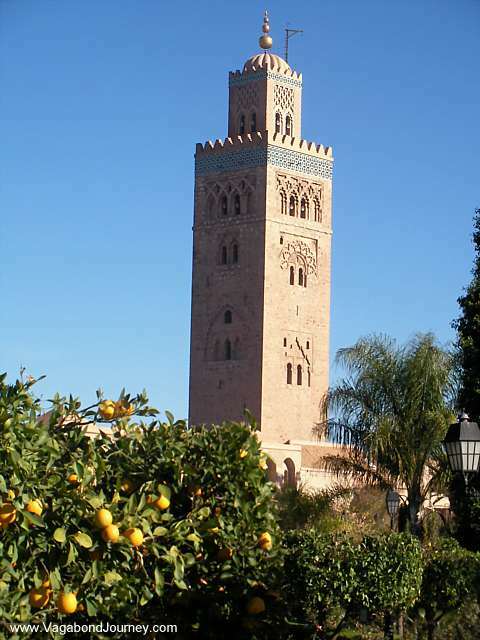 Minaret of a Mosque in Morocco. 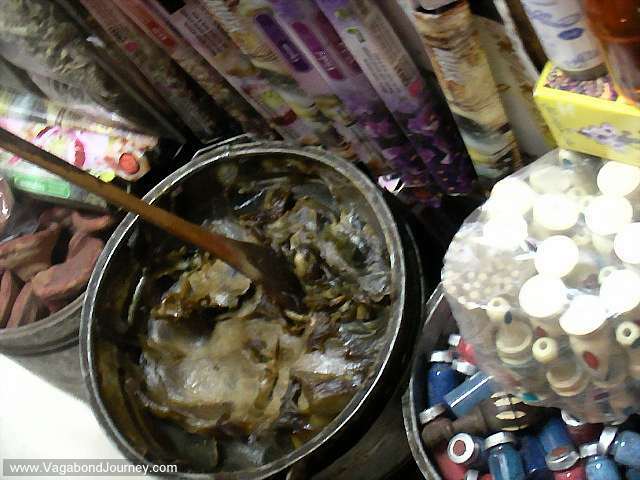 The raw supplies for making Moroccan perfume.